To prevent another Malaysian Airlines Flight MH370 happening again, Professor David Stupples says tracking and control systems for passenger aeroplanes must change. Writing in The Conversation, Professor of Electrical and Electronic Engineering, Professor David Stupples, has called for a shake-up in the tracking and control systems of passenger aircraft. 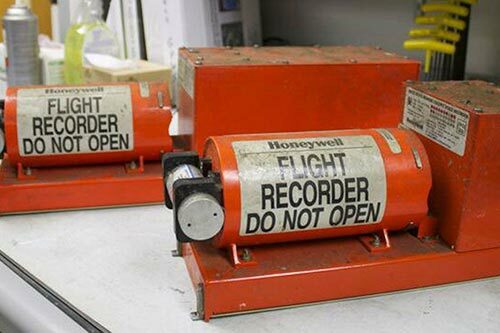 In light of efforts presently underway to recover the black box from ill-fated Malaysian Airlines Flight MH370 in the Indian Ocean, Professor Stupples says there is a need for closer monitoring and tamper-proof designs. Professor Stupples has an extensive background in the research and design of communications and radar systems, with stints in the Royal Air Force and the Royal Signals Radar Establishment (RSRE) and with Hughes Aircraft Corporation in the United States. He says that at the centre of speculation about what happened to Malaysian Airlines Flight MH370, is the suggestion that its Aircraft Communications Addressing and Reporting System (ACARS) and secondary surveillance transponder appear to have been switched off or disabled. "The International Civil Aviation Organisation and the International Air Transport Association should consider isolating an aircraft's Automatic Dependent Surveillance-Broadcast (ADS-B) and ACARS so the crew can't be disabled from the plane or at least ensure that the equipment will revert to an emergency mode if this is attempted."